Twitter is one of the most mis-understood social networking platforms. Most people find it complicated and hard to grasp and understand. How can you sell a product using 140 characters? Why does anyone care what you had for breakfast? Who wants to bothered with text messages from people you don’t know? What value could you possibly gain from 140 characters? As an early adopter of social media, I have been using twitter since 2007. Did I understand the value of those early 140 character blasts of self promotion and emotional rants? No, not really, but what I did see early on was a powerful connection to those I was following and I could see relationships beginning to form. I saw that I shared a lot in common with these followers. I saw that they discovered and shared information I found very useful. I found they were interested in information I had found also. Some of them even liked the info I tweeted so much that they also shared it. I found myself asking their opinion when I was making a purchase. I began to search twitter to answer questions, to help my research and to keep up with news and events. Within months I was hooked! I was a twitterholic! The most important thing I learned during those first few months on Twitter was that I needed to take it seriously. It was definitely going to impact my business, therefore, I needed to include it in my social media strategy. Three reasons you should take Twitter seriously. You can build powerful online relationships within your industry thought leaders. You may not ever meet these thought leaders in person but you can tap into their knowledge base and keep up with industry news and events. You can locate unsolicited brand ambassadors, people who are freely talking about your products and services. Knowing who these brand ambassadors are allows you to get to know them socially and provide a customer service over and above what businesses commonly do. 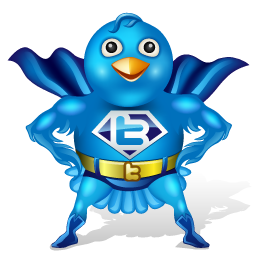 Twitter is one of the most powerful search engines you can use. In fact, Twitter just announced a completely new search engine rolling out this week that not only searches tweets but also searches photos and videos. What other ways do you find Twitter valuable for your business? Please share your thoughts in the comment area below. Twitter has enabled me to make contact with CEO’s, Celebrities, and leaders of industries I would never be able to get on the phone with. On Twitter, they will converse freely and openly, where as on the phone, you would not ever get a return call. I have been approached by several key media outlets to do interviews based on things I have posted on Twitter. I could of never made those contacts without it. I just finished two interviews with well known “business leaders” who are both writing books on one of my business skills. They are both NY Times Bestsellers. People are much more approachable, and Twitter seems to break down the barriers among groups and people. Whether you use it for business or pleasure or both, Twitter is such a valuable resource.